WHILE some people travel around the world before meeting their match, others find theirs not far from their front door. 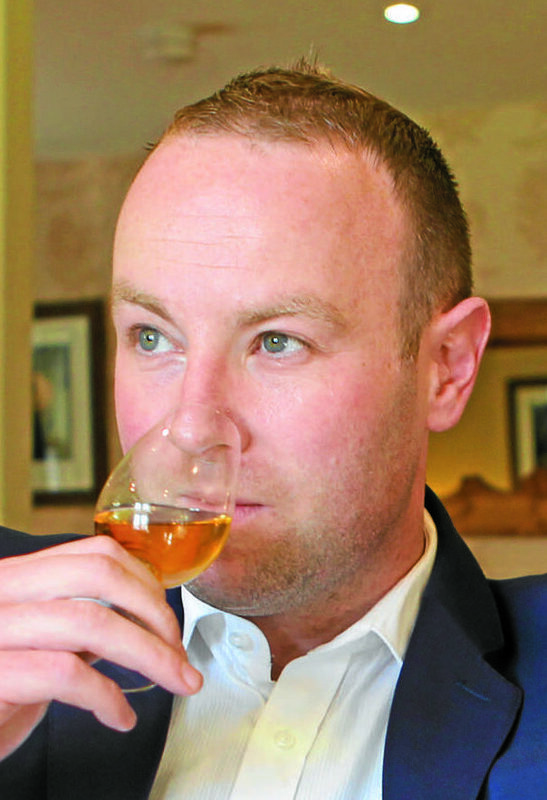 Speyside distillery, famed for its single malt Scotch, have just fallen head over heels into that latter category. They’ve created two boutique Speyside gin expressions with botanicals found growing in their very own grounds. 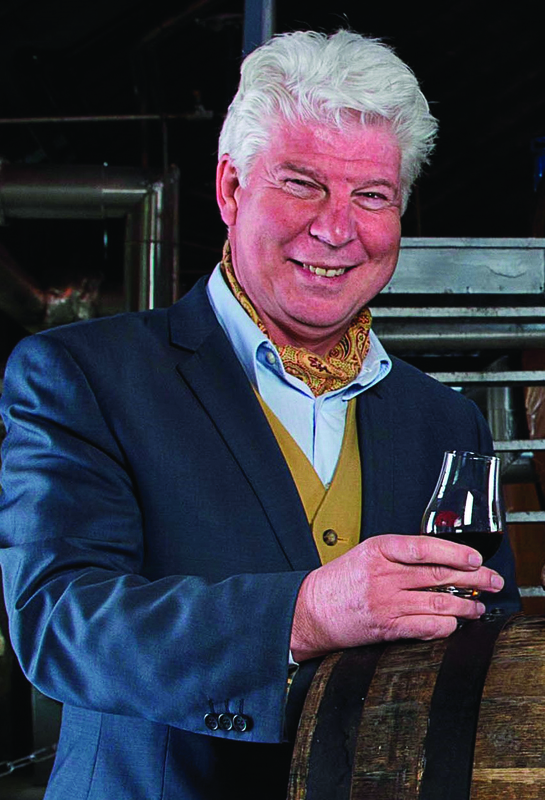 John Harvey McDonough is CEO of the distillery near Kingussie. “We are in the Cairngorms national park,” – so we are acutely aware of the abundant nature on our doorstep. We’re also members of the Cairngorms Business Partnership. “On learning our plans for gin distillation, they put us in contact with the Botanical Society of Britain and Ireland, who, in turn, put us in touch with Andy Amphlett, the County Recorder for the Society who happens to be from nearby Grantown. “Andy came along and, using his deep-seated knowledge of botanicals, he hand-selected plants and berries from the distillery’s gardens. A whisky distillery taking a foray into the gin market isn’t exactly pioneering – but this venture does have an air of je ne sais quoi. As the botanicals are seasonal, just 150 numbered bottles of each expression from Batch 1 have been produced. It’s also the latest twist in a spirit dynasty spanning two centuries – with a fittingly romantic note. 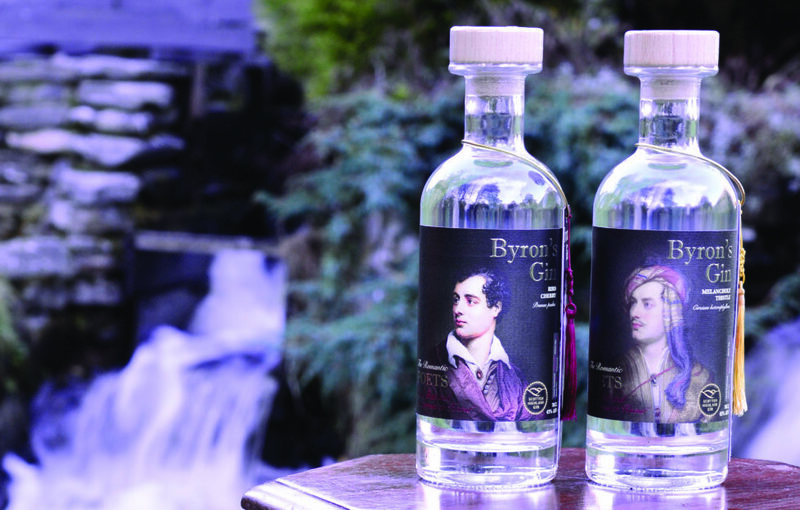 The two expressions of Byron’s Gin also reflect on the distilleries’ historic link to this spirit’s namesake. Lord Byron was one of the most famous and flamboyant poet of the Romantic movement. In a previous edition of The Scots Magazine, we explained John’s whisky ancestry. His forefathers created several distilleries, including Yoker and Dundashill in Glasgow. SPEY, the name of the family’s whisky, which John has now recreated, was offered at the wedding of Lord Byron and Lady Annabella Millbanke at Seaham Hall, Northumberland, on January 2 1815. King George III gifted a cask to his close friend Lord Byron, at Kew Palace, London, where a replica cask still stands. This new gin duo is in tribute to Byron’s love of the Scottish Highlands. Bird Cherry is complimented by lemon-scented fern, lady’s bedstraw, rowan, wild thyme, juniper and blaeberry. Sweet vernal grass, Scots pine, juniper, rowan, downy birch and aspen combine in Melancholy Thistle. “We have wanted to add to our portfolio of premium spirits for some time and with all these wonderful botanicals on our doorstep, we saw an opportunity to create something a world away from our single malt whisky,” John added. with a sweet fruit and spice palate, and the finish is mellow and fruity. My verdict: A sensational couple.